See our information about mental health care. Psychiatrists are being advised to consider the impact of social media on all children they assess for mental health problems. Eating disorder services are struggling to respect the dietary requirements of vegan patients who need to be fed through a tube because of a lack of available products, three leading health organisations have warned. Professor Wendy Burn, who took part in the commission into NHS staff wellbeing comments on the publication of the report. Find a conference, course or training programme. CPD-approved eLearning modules and podcasts. Login and submit your CPD. Stay up to date with our world class journals. For the latest in each specialty. What is the College doing in your region? Our work in N. Ireland, Scotland and Wales. (TrOn) eLearning modules supporting you in MRCPsych exams. Log your learning and development. How to prepare and apply for your exams. How the Psychiatric Trainee Committee is supporting you. Read our award-winning information about mental health problems and disorders. 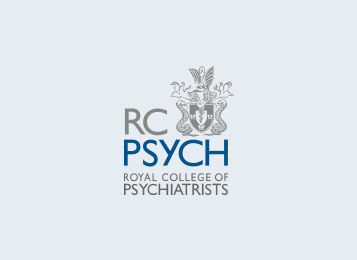 Information about treatments for a range of mental health conditions. Information written for young people and parents, about young people's mental health concerns. What to do if you need urgent help, how to see a psychiatrist, and other questions. Order our award-winning mental health leaflets - written by doctors for patients.